Abagail Eldan : Mary, Did You Know? Later I’ll be exploring 1 Timothy 2:8-15 in more detail in one of my newsletters. Today, though, I’d like to look at verse 15, a verse that has puzzled scholars (and me) for many years. Does this say that a woman will be saved if she has a child??? 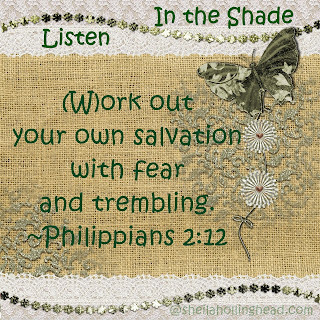 That can’t be since Philippians 2:12 tells us to … work out your own salvation with fear and trembling. And what of women who never give birth? If this means women will be saved through having children, the childless would be lost. As I puzzled over this particular verse the last few weeks, a song played in my head, a song that has become very popular at Christmas. Let’s look again at verse 15 and notice something unusual. Yet she will be saved through childbearing—if they continue in faith and love and holiness, with self-control. Yes, the pronoun changes on us. Could this verse be saying that through Eve (and those who came after her) salvation was brought into the world through a woman’s childbearing, more specifically Mary’s who gave birth to the Christ? And through the birth of Jesus, made possible by Mary’s obedience to God, THEY (all people) with faith will be saved. Couldn’t the “they” refer back to men and women in the previous verses? Since we know there is only one way to Heaven, through faith in Jesus, this verse becomes more understandable. 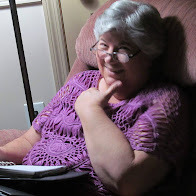 May we be able to say with Paul “I have fought the good fight, I have finished the race, I have kept the faith” so that we too will receive “the crown of righteousness” whether we are mothers or not. Thankfully, Mary's child delivered all Christians from the bonds of sin. Amen.